In the ring, Manny Pacquiao is a whirling dervish of destruction. Outside it, he’s all smiles. That dichotomy is one of the reasons he’s so popular, and why a throng of fans awaited his arrival at the MGM Grand on Tuesday morning. Fighter Arrival Tuesday has become a major fight week tradition in Las Vegas: The MGM assembles a ring in its lobby, music plays and crowds gather to catch a glimpse of their favorite fighters – likely the last sighting they’ll have of them until the Friday weigh-in and the fight itself. For Pacquiao, Saturday’s fight will not only be his fourth with Marquez, it will be his tenth at the MGM Grand, his 15th in Las Vegas and his 23rd in the United States – an astonishing run for a young fighter who walked into Freddie Roach’s Wild Card Gym in 2001 looking for a trainer. 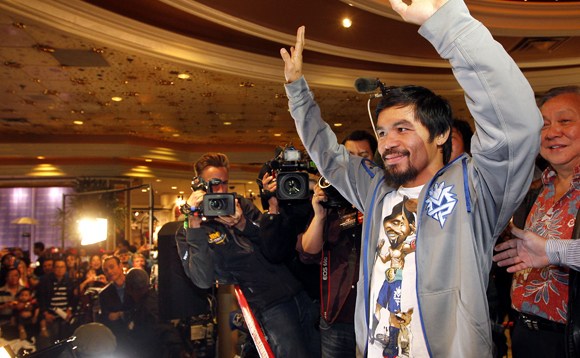 Pacquiao has won world titles in eight weight divisions, from 112 to 154 pounds. Two years ago, the Boxing Writers Association of America dubbed him the ‘Fighter of the Decade.’ He has annihilated Hall-of-Fame caliber opponents such as Oscar De La Hoya, Miguel Cotto, Marco Antonio Barrera, and Erik Morales. But one man has consistently pushed him to the brink -- and, in the eyes of some, should own three victories against him. That man is Juan Manuel Marquez. In the early stages of his career, Marquez was overshadowed by contemporaries Barrera and Morales. But he has outlasted them both, remaining competitive against the highest quality opposition and becoming a fan favorite. A major reason for the latter is his rivalry with Pacquiao. It was a rivalry that nearly never was: Pacquiao knocked down Marquez three times in the first round of their first encounter, in 2004; somehow, Marquez survived and battled back to earn a draw. The rest, as they say, is history. In this case, at least, familiarity does not breed contempt. Judging by the crowds that awaited both men on Tuesday, the fourth time is the charm. Whoever you think deserved the nod in each of their encounters (Pacquiao officially owns two wins, Marquez none), just about everyone agrees that every contest has been desperately close. There’s every reason to believe the fourth encounter will be no different. But the fans who welcomed Pacquiao and Marquez on Tuesday were also witnessing history, as will be the spectators in the arena and the viewers on HBO Pay-Per-View on Saturday. 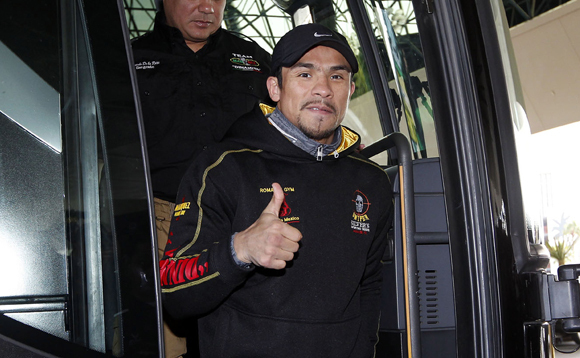 Pacquiao and Marquez have developed a rivalry for the ages, but on Saturday it ends. 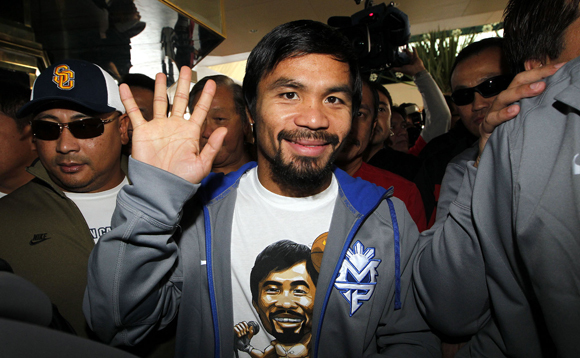 “This is the last fight with Manny,” said Marquez on Tuesday. “I don’t know what will happen in the ring, but this is the last time.” Pacquiao trainer Freddie Roach agreed. “It’s the last time,” he said.